Special 20% discount on our fees when initiating a company set-up during April. Oxford Consultants DMCC is a registered agent of RAK and provides RAK company formation, management & administration services for RAK entities. An IBC company is a company that is set up in the Free Economic Zone and carries out any kind of international business activities. Additionally, an IBC is allowed to open a UAE bank account. Therefore, business people who seek to set up a company within a tax-free environment as well as open a bank account should opt for an IBC. An IBC may be incorporated either by individuals or companies. Finally, the source of income of an IBC company must derive from another jurisdiction other than the one it is registered. IBCs cannot set up offices within the UAE (they are only granted a legal address in the UAE). Why choose to set up an IBC / Offshore Company in the UAE? The UAE is not considered as a ‘tax haven’ jurisdiction. 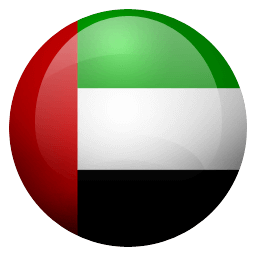 The Financial Action Force (FATF) has not blacklisted the UAE. Therefore, those choosing to set up an IBC within the UAE are protected by the UAE legislation and conduct business activity legally, which comply with international standards. Various Offshore destinations make agreements with tax authorities of other countries, whereby the company’s beneficiaries name as well as income are not confidential and must be disclosed upon request. In contrast, the directors and shareholders of IBCs are fully protected, kept confidential and are not disclosed. IBCs may engage in multiple business activities such as trading, professional services, shareholders and/or investors of other UAE-based companies as well as property holding companies. The only two fields IBCs are not allowed to engage in are Insurance and Finance. The IBC Company will own a registered office located in Dubai. Dubai is recognised as a prestigious international business hub which attracts international investors. IBCs are allowed to open bank accounts in most of UAE-based banks. They can also open several bank accounts in different banks. Finally, IBCs can also set up bank accounts outside the UAE. Fast & Simple Ras Al Khaimah Company Formation with Registered Office address in JLT Dubai and Corporate Bank account in Dubai. Multiple businesspeople are interested in forming a Dubai Offshore Company. The UAE is home to two authorities which are responsible for registering Dubai Offshore Companies. The UAE RAK Offshore Company is registered by the Ras Al Khaimah Authority. There are numerous reasons that more and more business people from all around the world set up Ras Al Khaimah offshore companies. Firstly, Ras Al Khaimah company’s formation documents states it is an International Company and is not labelled as an Offshore, while you are still able to enjoy a zero tax system. Finally, RAK Company Setup is considered one of the best options available to business people in order to conduct business throughout the world while being set up in a financially safe and economically secure environment.